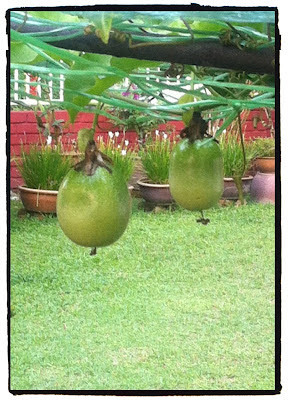 Here are more passion fruits from the garden. I'm so proud of this patch of fruits but we have yet to taste them as they are still pretty green. 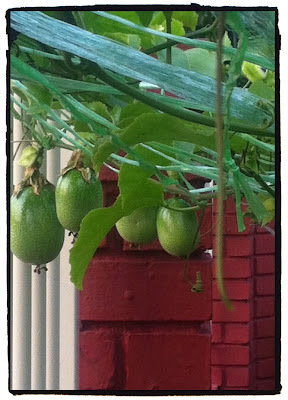 There are more than twenty fruits now. I hope the stick frame is able to hold the weight of the fruits.